It’s an expression of the lively festival and a display of devotion – in the auspicious month of Ashadha. 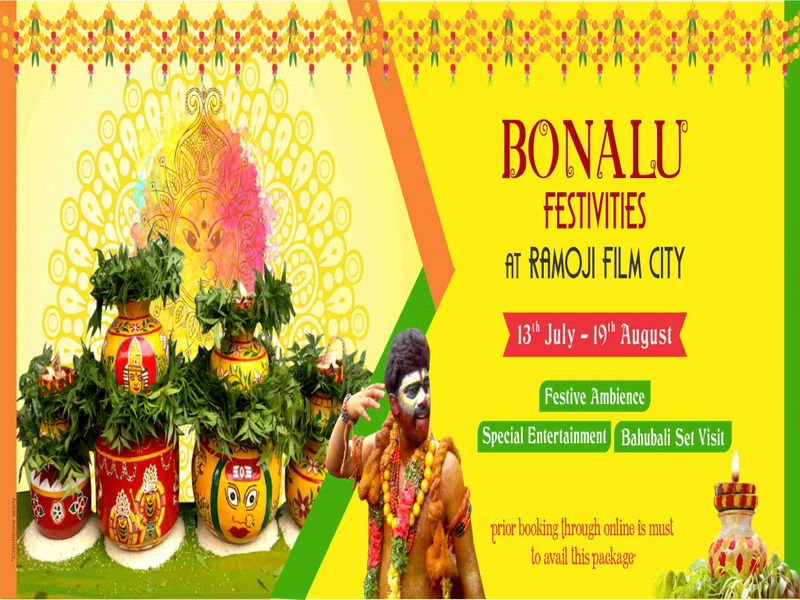 The special celebration of Bonalu, the Telangana state festival is marked by a riot of color, customs, and dance. The celebration recreates the mood with flourish and delicacies. Explore the magnificent world of Mahishmati, with the tour of blockbuster Bahubali sets.